Is this the beginning of the end for premium-priced HD? Ofcom has confirmed that a limited number of HD TV channels will be able to operate on the Freeview platform as part of the digital switchover. The regulatory body, which has been tasked with overseeing the switchover, said that new technologies, combined with the freeing up of spectrum, would allow four new HD channels to be created on the Freeview platform. The new channels will all be free-to-air and will include the BBC HD channel. Ofcom has invited other public service broadcasters to bid for the remaining slots, including ITV, Channel Four, Five and S4C. In addition to a HD Ready TV, viewers will also require a dedicated set-top box to decode the hi-def signal. Unfortunately, viewers will only be able to access the new channels when the switchover has been made in their area. 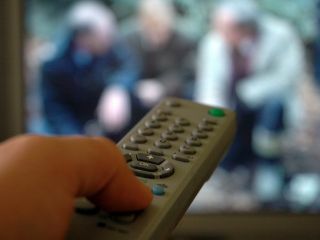 While the north-west of the country could well be receiving the new HD channels by the end of 2009, customers in London, the north-east and Northern Ireland may have to wait until 2012. Ofcom intends to free the required space by re-arranging the multiplexes, and introducing MPEG-4 and DVB-T2 encoding and compression technologies. The plan is to use Multiplex B (currently operated by the BBC) to carry all of the proposed new HD channels. The BBC HD channel is guaranteed a slot, with two other public service broadcast HD channels to be chosen by consultation, and a fourth to be added by 2012. Quite what all of this will mean for current carriers of HD content remains to be seen. However, with HD about to become free on Freeview, it could be argued that commercial satellite and cable operators will find it increasingly difficult to charge customers excessive premiums to watch non-premium programming in HD.